Sometimes you gotta go broke, lose the person you thought you loved, watch friends turn to strangers, just to get to your destination. 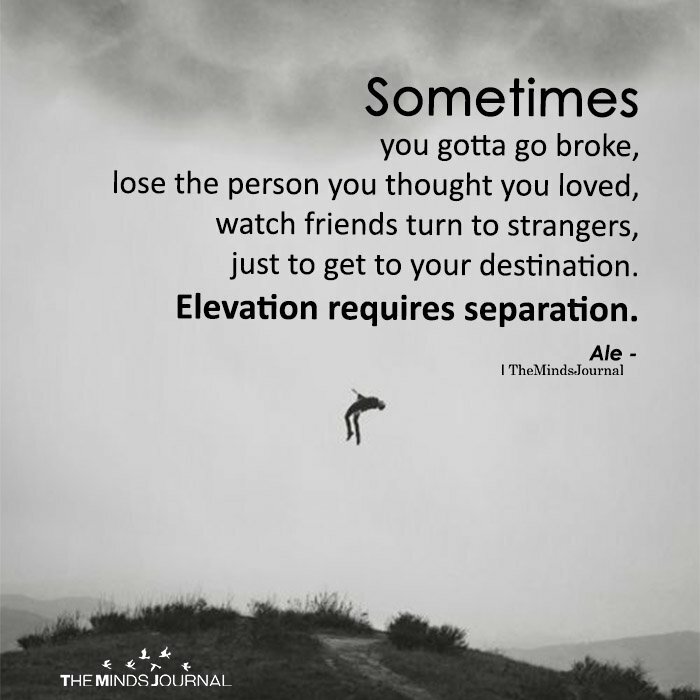 Elevation requires separation. Definitely true in my case.